Marinade - What Does it Mean to Marinade Food? Definition: a mixture of either liquid or dry ingredients to flavor and give moisture to food. 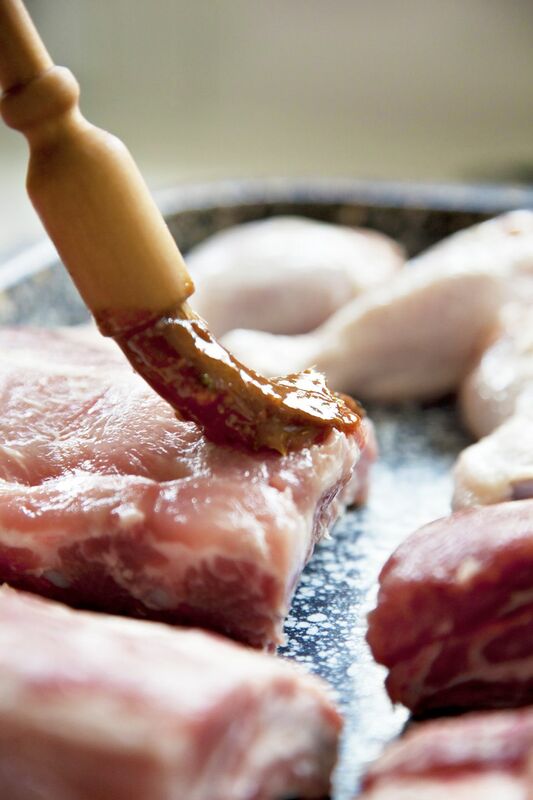 Wet marinades can consist of spices in water, oil, or a sauce, while dry marinades are simply a mixture of dry spices. Meat is oftentimes marinated up to hours before cooking. Examples: Chicken can be marinated with salt, pepper, oil, and other spices before cooking to provide additional flavor and moisture.